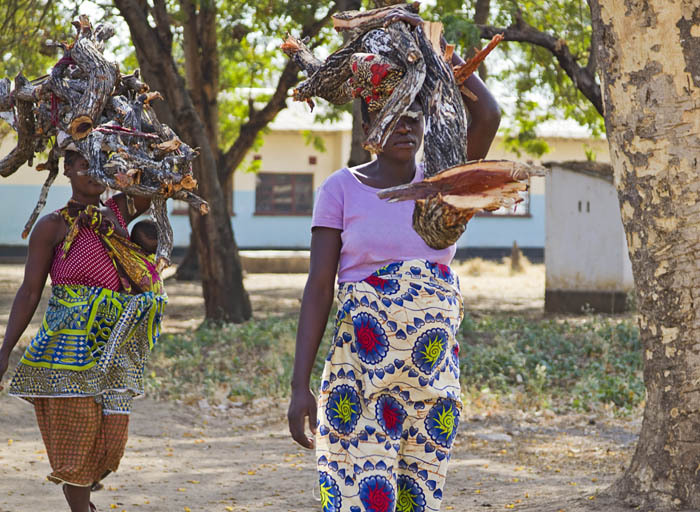 Caption: Women with babies in slings carry firewood for cook fires in their village, Kawaza, Zambia, Africa. Comments: Women with babies in slings carry firewood for cook fires in their village, Kawaza, Zambia, Africa. These women are of the Kunda tribe.